Spring and summer are an exciting time – just like blooming flowers and sprouting saplings, people begin to wake up from a long winter of staying bundled up and indoors, emerging into the sunny outdoors to enjoy the beautiful weather. Decks get cleared off, fences are scrubbed and stained, and grills are fired up as people gather to bask in the warmth. But when fall and winter arrive, things begin to change. 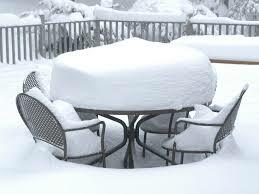 Fewer and fewer evenings are spent outdoors, and the deck and fence are long forgotten as the weather turns chilly. And unfortunately, this is the time of year when it’s easy for damage to accumulate on your fence and deck, going unnoticed until minor issues become major problems. But fret not – there are some easy things you can do to help you protect your patio and your perimeter all year. Like most issues, the best way to address them is head on and early. Taking preventive steps is the best course of action to prevent long-term damage to your deck or fence, followed closely by addressing issues as soon as they crop up. Once the leaves start to change and the lawn starts to die, it can be tempting to avoid the backyard – but keeping a routine of inspecting your deck regularly can make a big difference in preserving it. Fall is notorious for being a time when leaves and other debris lay siege to your outdoor space. 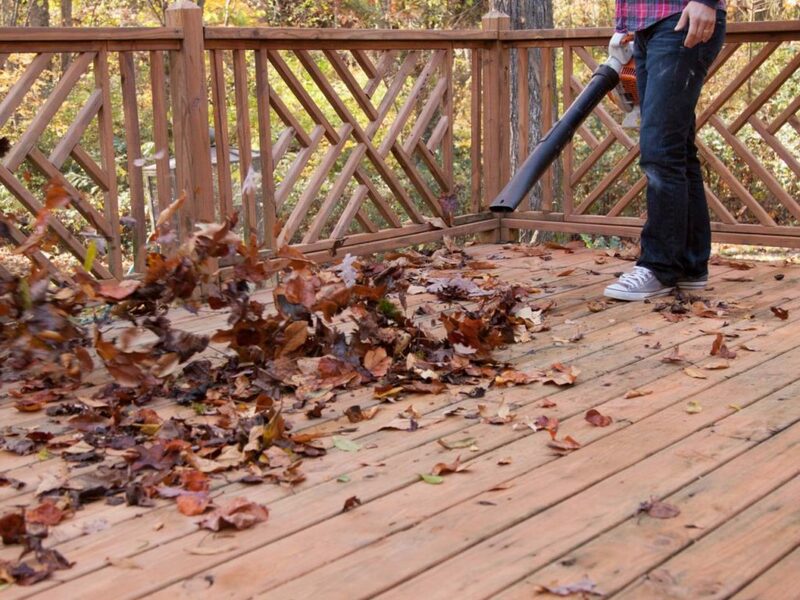 You don’t need to scoop up every leaf the moment it falls, but creating habits wherein you remove fallen items from your deck soon after they make landfall is one of the best protective strategies you can implement. After all, it’s easy to do a leaf roundup once or twice during the fall, ignoring the leftovers. But as winter comes and those remaining leaves form damp, often frozen piles on your deck, that moisture can infiltrate the wood and damage it, sometimes beyond repair. Aside from keeping your deck meticulously clean, nothing helps protect your fence and deck better than a protective coating of weatherproof sealant. Applying this type of finish will help insulate your deck against the moisture that accompanies the cooler season, when ice and snow sit for long periods of time and don’t dry as quickly due to the cool air and scarce sunlight. This entry was posted on Monday, October 16th, 2017	at 12:01 pm	. Both comments and pings are currently closed.